Apple has once more updated its roster of banks and credit unions offering Apple Pay, adding another 25 U.S. card issuers, while noting a minor expansion in Europe. 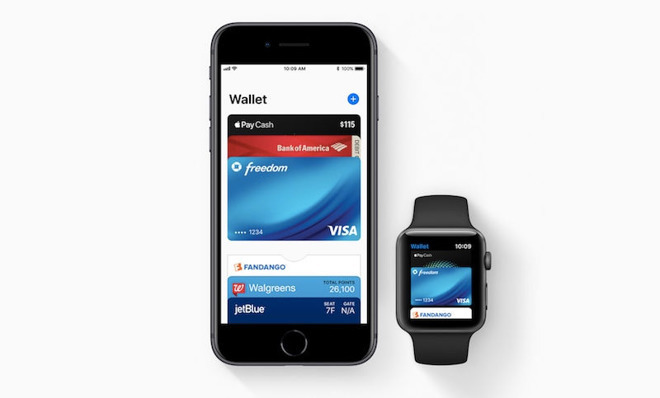 The U.S. issuers are all regional institutions, reflecting the fact that most national banks were onboard within a year of Apple Pay's October 2014 launch. The greater challenge for Apple has been merchant adoption —some key national chains are lacking support, particularly Walmart and Target, which have opted for their own proprietary payment systems. People in Italy and Spain can now use Apple Pay with bunq, an online-only bank which provides a Mastercard for purchases.